Marc Fosh Catering is a company specialized in serving its catering for all sort of events, including weddings, birthdays, product presentations, corporate or company dinners, etc. This represents a catering company which is different from the rest, as long as its style and work process are closer to those of high-level restaurants rather than those of other conventional catering companies. This difference can also be appreciated as much for the way the dishes are served (their preparation is always finished in the same place where the event takes place, being served to their clients freshly made, keeping all the flavour), as for their recipes, always made on the best fresh natural and typical products from the Mediterranean diet. The quality and innovation in their proposals, under the line of style of the prestigious British chef Marc Fosh (awarded for a second time with a Michelin Star last November), also allow him, in addition, to be an active part in different events regarding cooking, as the route of tapas gourmet “Peccata Minuta”, which is celebrated every year in the market of Santa Catalina, taking place next February 28th this year. Along with its weddings and events service, Marc Fosh Catering has also collaborated and keeps working in different charity proposals, as the Projecte Jove dinner which collects funds to help adolescents with addiction problems; this dinner was organized by the RANA association, which is dedicated on helping children who have suffered abuse, or “Table for 100”, an initiative which is in charge of organizing meals to help 2 local organizations fighting against cancer. 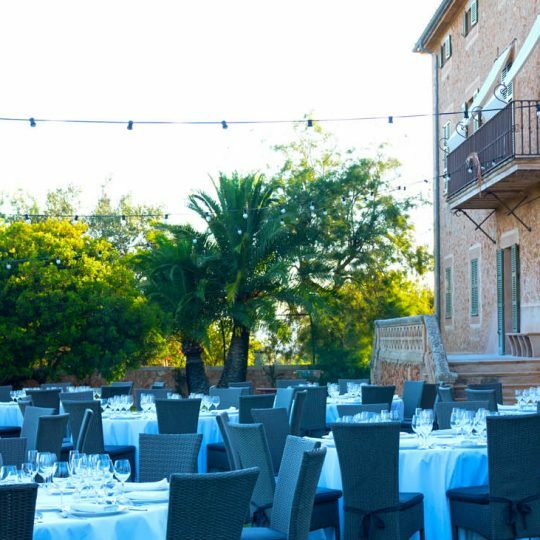 Marc Fosh Catering will soon give its support for a caring cause, with a lunch in favour of the organization “Tu Importas Mallorca”, next March 3rd. This initiative appeared with the intention to help combat poverty in our islands, organizing this kind of charity meals as well as the collection of clothes, food, etc. Marc Fosh Catering is positioned in the gastronomical sector as a company which goes beyond the preparation of menus for events. It is consolidated as a pioneer company on offering their clients the best quality in terms of product, service and presentation. Whether they are luxurious ceremonies or social-aimed events, Marc Fosh Catering will always keep on innovating and improving so this confidence produced within the people keeps growing day by day, just like its prestige.